Following years in decline through habitat loss, the short-haired bumblebee Bombus subterraneus officially became extinct in Britain in 2000. A subsequent re-introduction project, backed by Natural England, RSPB, Bumblebee Conservation Trust and Hymettus was launched at the RSPB reserve in Dungeness, Kent. 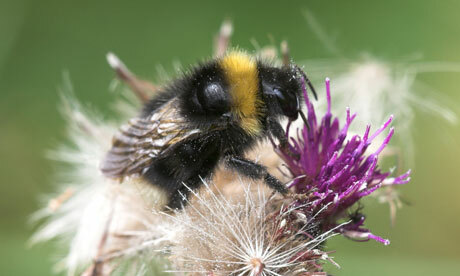 In 2009 work began with farmers to sow wildflowers to create areas of flower-rich meadows in Dungeness and Romney Marsh. Then in 2012 queen bees were collected from Sweden and introduced to the site. This year, for the first time, offspring worker bees have been recorded at the site, showing that the short-haired bumblebee has successfully reproduced. This is great news for conservation although there is still a long road ahead with bees in the UK continuing to suffer declines due to habitat loss.